Heavy weather disrupted racing on the first race day of the 2015 Bruce Wake Hansa Class European Championships. 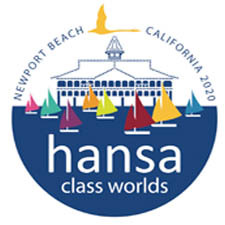 The Hansa Class European Championships are held every two years and is on offer to all with no gender, ability, age, social, cultural and ethnic barriers which gives the opportunity to a lot of Hansa sailors in order to race and socialise. 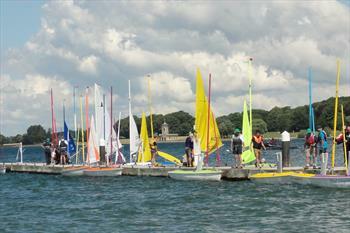 This year, the prestigious event is held at Rutland Sailing Club, on Rutland water. 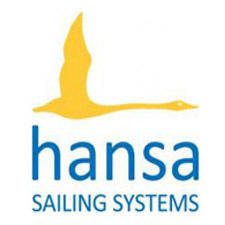 A total of 90 sailors will take to the water over the coming days in several different competitions for a range of Hansa boats. The championships got underway with the single seater Liberty Class race commencing at 11am on Wednesday. There were 9 entries to this race, and with the Liberty boats being buffeted by the heavy conditions, you could see the sailors being put under great pressure in tricky circumstances. After just short of an hour racing, we had a first winner of the championships, in Monique Foster, of Great Britain. Paul Phillips, also of Great Britain, and Genevieve Wickam, of Australia finished 2nd and 3rd respectively. Meanwhile, the liberty servo race was underway, which finished with Dutch winner, Sefke Holtrop who completed the race ahead of two GBR competitors. As the liberty races ended, the single 303 boats joined the choppy water. The boats were rocking around the course, before their race got considerably harder, when rain drifted in from the west. 22 boats entered the race, with 2 abandoning due to the difficult conditions. Australian, Michael Leydon came out on top finishing in front of Swiss participant, Patrick Ruff and Hungarian, Zoltan Pegan. Torrential rain and high winds hampered the start of the next race as volunteers struggled to assist competitors into their boats therefore the next race was delayed. The remaining races planned for the day were postponed due to the worsening weather conditions.